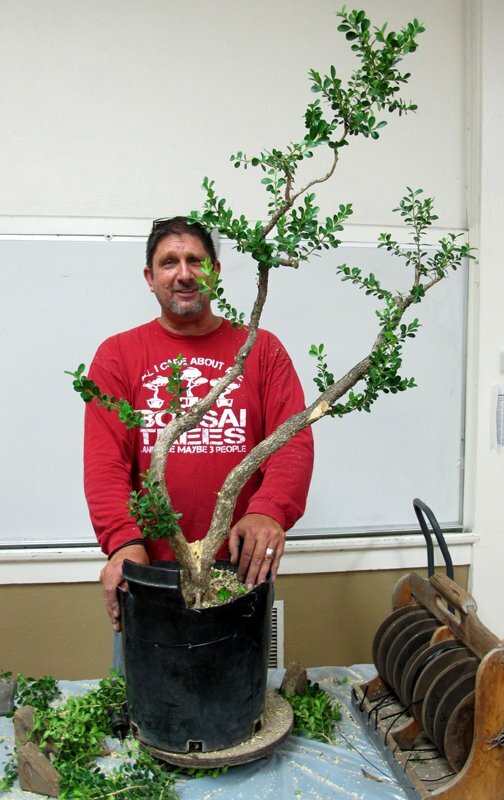 On Tuesday evening, July 11th, Club members will gather to critique each other’s trees and offer timely suggestions on how to make them better. Usually there is one opinion and suggestion per attendee for each tree, and sometimes they even agree. Actually, the suggestions are quite helpful. So if you have a tree that you are not sure how to proceed with, or what kind of pot it should be in, or when the best time to repot that tree is, or have questions concerning watering, fertilizing, pest and fungus control, come on by. All members are welcome. Even if you are brand new and just made your first tree in the beginner’s workshop, stop by to meet club members and see what kinds of trees they are working on. The meeting starts at 7:30 pm, but arrive by 7:00 for socializing and checking out books from our extensive library. Free cookies and coffee. 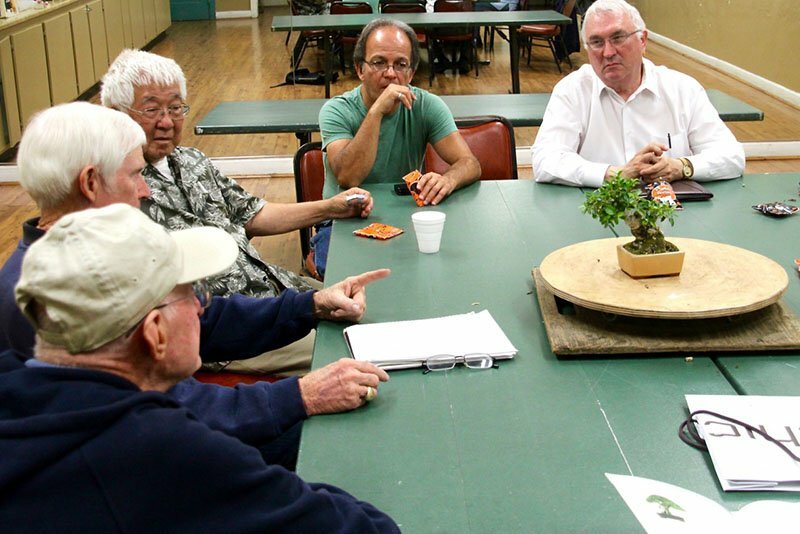 First of all, welcome to all our new members who participated in the recent bonsai workshop at the Botanic Garden. I hope the workshop kindled your love of bonsai. I look forward to seeing you at our club events where I think you’ll find that our members are very nice people (well, one or two of us might be curmudgeons, but we are in the minority). Speaking of club events, we have again been invited to participate in the Obon Festival at the Santa Barbara Buddhist Temple from noon to 5 PM on July 15 where we will have a small display. The festival is open to all and is free. If you have a tree or two you are willing to display please let me know. Also, Tom Post has again offered to set up summer Saturday visits to our closest bonsai nurseries. These visits are open to all members but are especially good for newer members who would like to buy plants, pots, tools, or anything else bonsai -related that is hard to find locally. Thanks very much, Tom, for your willingness to organize these very popular visits again this year. July 15: Fall Workshop Series Begins – $108 For 4 Workshops! 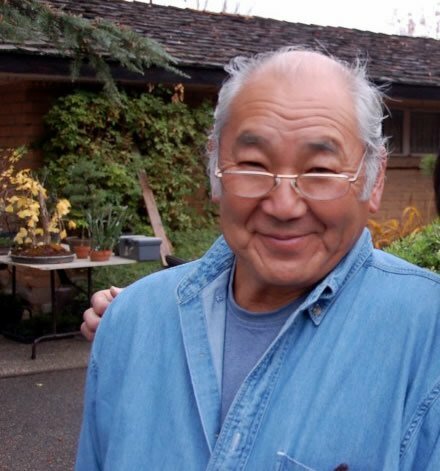 Tom Post has set up visits at some bonsai nurseries close to us. This is a great time to buy great bonsai stock to work on or already finished trees. There will be four visits in all. We always meet at the upper Sears parking lot in La Cumbre Plaza at 8:00 am and carpool from there. We usually stop for lunch, so bring lunch money and tree money. Most nurseries also have soil, tools and pots for sale. 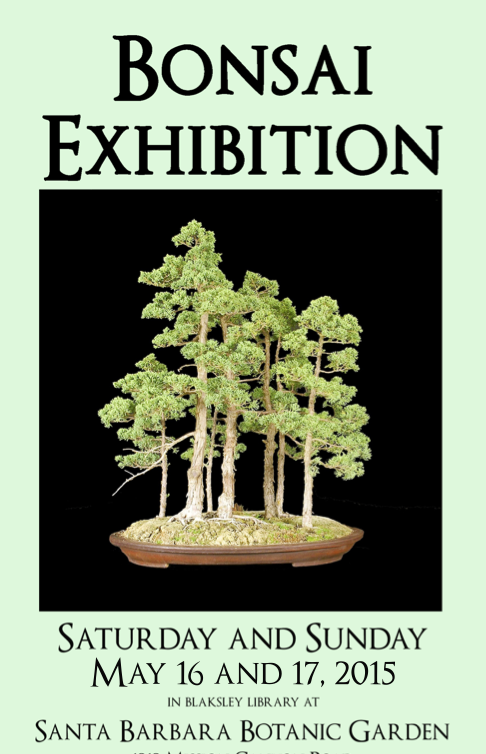 Kofu Bonsai Kai: 2017 Bonsai Fest at the Bowers Museum – John M. Lee Court, 2002 N. Main St., Daily 10 AM – 4 PM, Featuring bonsai trees of the members of Kofu Bonsai Kai and special presentations by noted speakers. Final speaker and presentation schedules will be posted on the Bowers Museum Website: http://www.bowers.org/ and Kofu Bonsai Kai: http://www.kofukai.org/. Free to Bowers Museum members or with paid museum admission. Questions? Call the museum at (714) 567-3695 or email Michael Walsh at michaeljwalsh@outlook.com. We are still looking for a place to host our annual summer potluck. 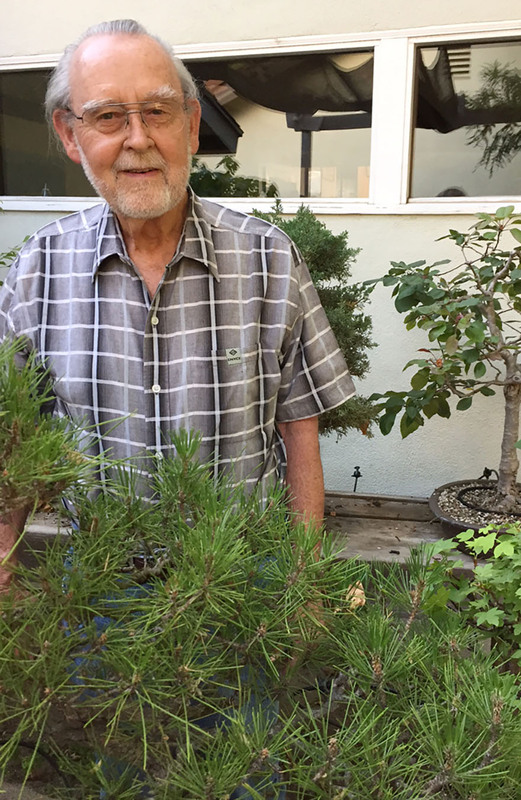 Last year was at Ann Erb’s house and we all got to ooh and ahh at the hundreds (perhaps thousands) of bonsai trees that have taken over Ann and John’s life and entire back yard –including the three 2500-gallon water collection tanks just outside the fence. 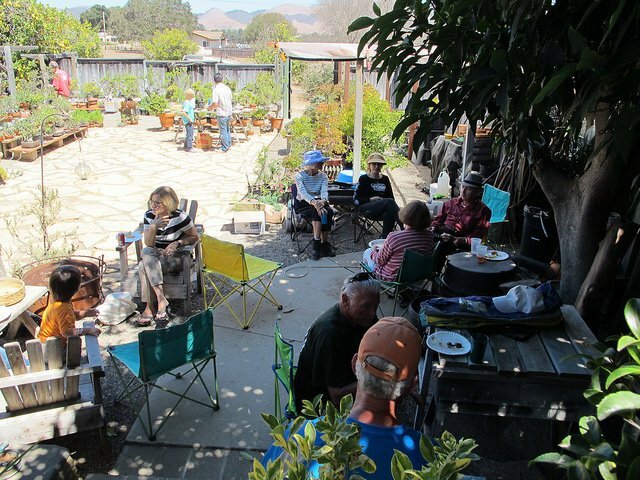 Great food, fun company, and a raffle that always yields some great pots, plants and accessories. As a host, you need only supply your backyard or patio (maybe water and other beverages). Club members each bring a dish to share. There are usually a few bottles of wine around to loosen up the conversation. It is a great time to show off your bonsai collection, so we can ohh and ahh again. Please contact Joe Olsen at joeyuccaseed@verizon.net for further details. As most of you know, we elect new officers every two years. This year Tina Hammond offered to take over as Treasurer, replacing the incompetent Ernie Witham… hey wait, that’s me! Make that overly competent, but busy. Anyway, when Tina went to the bank to change names on the account, the bank person, who shall remain nameless because, well, they still have all our money, mistakenly told us we needed to file all these additional papers to maintain our non-profit status. It was a big mess. So Tina contacted long-time member Frank Artusio, who set up our original accounts. Frank worked tirelessly and helped Tina and our club avoid filing expensive and time-consuming new paperwork. It’s members like Frank that have kept our club going and growing for many years. So a special thank-you to Frank. Everyone reading this please pour a glass of wine and toast Frank!